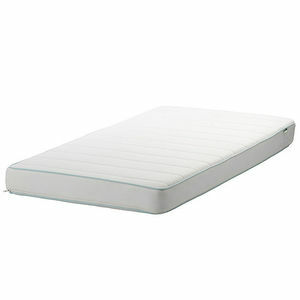 The crib mattresses fail to meet the federal open flame standard for mattresses, posing a fire hazard. No injuries have been reported. This recall involves about 38,400 IKEA VYSSA SPELEVINK crib mattresses. The recalled mattresses are 52 inches long and 27.5 inches wide. The crib mattresses are white with a blue piping around the edge and have an identification label attached to the mattress cover has the date of manufacture in Month-DD-YY format or YY-W format and the VYSSA SPELEVINK model name. IKEA stores nationwide and online at ikea-usa.com from 10/2000 through 05/2014 for about $100. Consumers should immediately stop using the recalled crib mattresses and return them to any IKEA store for a full refund. Mattresses that were given in an exchange to consumers for their VYSSA SPELEVINK mattresses in the two previous recalls are included in this recall program. IKEA can be contacted at (888) 966-4532.